Olaplex is a revolutionary new salon applied treatment that allows you to go bright, go bold, and have the hair you’ve always dreamed of. 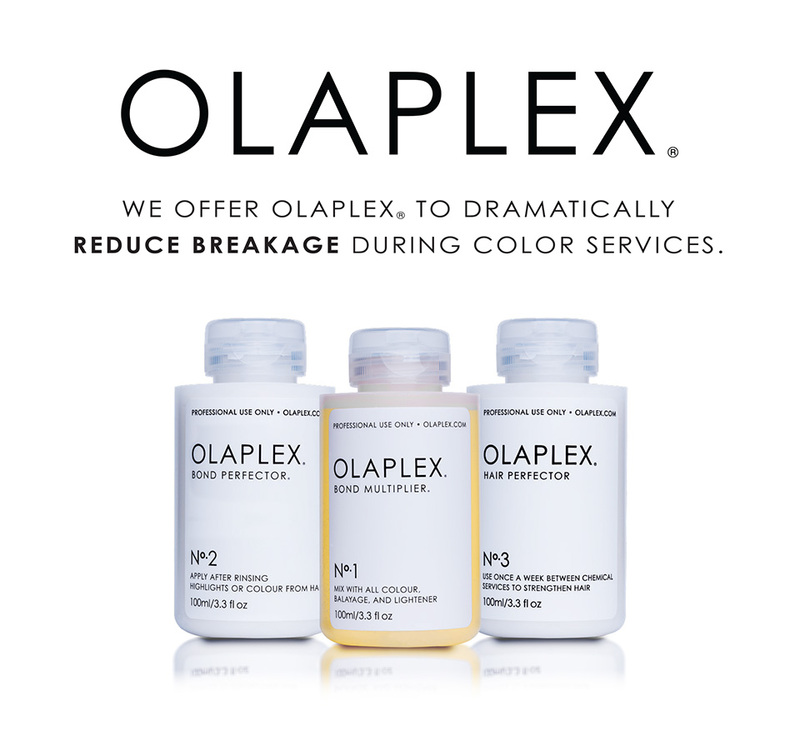 As chemical processes break down the bonds that are essential for healthy hair, Olaplex steps in to repair them before any damage is done. Olaplex will give you the confidence, the insurance, the ability, not to be stressed out worrying if your client’s hair is going to break. You will see the difference the first time you open the foils and rinse. Your drain will not be full of broken hair. Your client will notice their hair being softer, shinier, easier to manage with less frizz for weeks.